Safeguard Hampshire specialises in insurance restoration, new build and refurbishment as well as general property maintenance. We are currently working in partnership with a number of high profile insurance companies, corporate clients, schools and colleges, and continue to assist with work in the private sector. Safeguard Hampshire is a medium-sized company that aims to provide its clients with value for money, quality and above all reliability. This is achieved with dedicated management and a skilled and dependable workforce – our collective responsibility ensures that our client's expectations are met. We pride ourselves on the length of time we have continued to work with a number of our clients, some for over 10 years, and our reputation has been built on this. We are always looking to improve and maintain the standards our client's have come to expect. Some of our many customer testimonials can be found throughout our website. 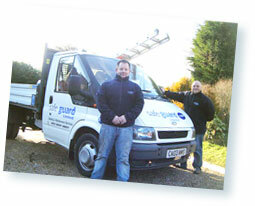 Safeguard Hampshire Ltd, Unit 2, Kinches Farm, Roads Hill, Catherington, Waterlooville, Hampshire PO8 0TG. Tel/Fax: 023 9257 0057. ©2013. All rights reserved.